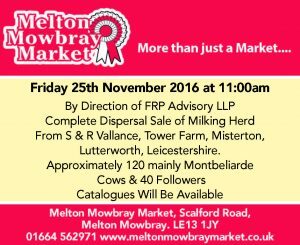 If you are looking from Montbeliarde cattle make sure you are at Melton Mowbray Market on Friday 25th November. The complete dispersal sale of the milking herd comprising of 120 mainly Montbeliarde cows, including some high quality pedigree French Montbeliardes and 40 followers will go under the hammer on behalf of S & R Vallance. Does crossbreeding have a place in modern UK dairy systems?